People frequently call us with the complaint that the fish in their backyard ponds are being plundered by wildlife. Fish are the natural diet of many wild animals, mammals and birds alike, and fish in your pond equal an easy dinner for many of those animals. 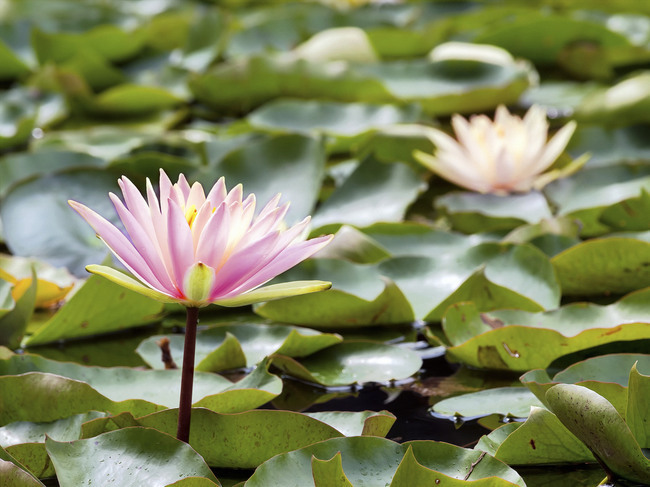 Read on to learn a bit more about how to protect your pond from wildlife. Keeping rocks and plants in your pond gives your fish a place to hide from reaching paws and beaks. For ponds that are "free-form" with a pliable liner, it is a good idea to dig the center of your pond deeper than the edges. This gives your fish a deeper place, out of reach from wildlife fishing from the edges, to hide when danger approaches. Netting can be placed over the top of your pond to keep wildlife from fishing in it; however, clear netting is often invisible to fishing birds and can cause them to get tangled in the net. If you choose to net your pond, please use a visible netting (heavy and/or dark colored). Covering your pond at night with a tarp or hard cover is also another option to prevent nocturnal animals such as raccoons and mink from fishing in it.